Earlier today(August 16th) in New York, Annasophia Robb was spotted arriving for an appearance at the Build Series Studio to discuss her new horror film 'Down a Dark Hall'. I first caught notice of LOROD thanks to Chloe Moretz but she didn't do the brand's suit any justice. 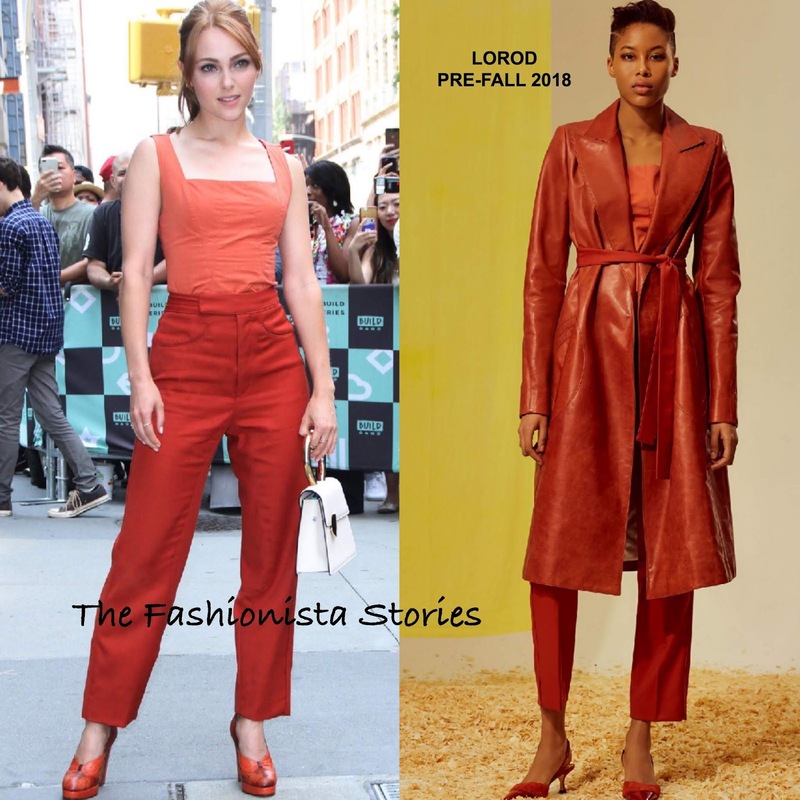 However I thought Annasophia looked chic in Lauren & Michael's PRE-FALL 2018 orange square neck top & red ankle length trousers. The actress wore coordinated platform pumps with her ensemble and she carried a white BENEDETTA BRUZZICHES gold ring bag which balanced out the hues. A ponytail with center part bangs topped off her look.